The IMF expressed concern because tax revenues grow below the projected. 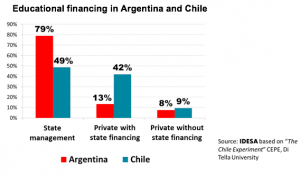 This is contradictory given the very high tax pressure of Argentina. The experience of neighboring countries suggests that with less but better-managed public spending, the fiscal deficit can be reduced and the social situation improved. Surprise prevailed given that the crisis has not generated a higher rise in unemployment. The main explanation is that the acceleration of inflation caused a deep loss in the real value of labor costs. 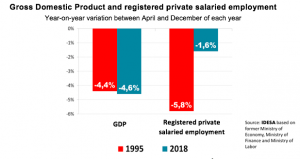 This fact, together with the increase in informal jobs, was the rudimentary way by which the labor market adjusted. Women’s Day calls for reflection on the multiple facets that women´s discrimination take shape. 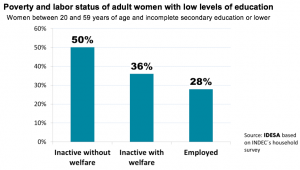 A particularly important one is in the access of women to the labor market. If many poor women who do not work today could do it, poverty could be cut by half. The concern about the price of the dollar is a constant in the lives of Argentines. The dollar will stop being a problem the day that Argentina substantially increases its exports. Neighboring countries are achieving this on the basis of exporting much more than Argentina measured in terms of inhabitants. Accepting that public schools are for the poor and private schools for families with medium and high incomes deepens social fragmentation. It would be more equitable and efficient to give the lower income families the possibility of also choosing a private school with financing and controls of the state. The government ordered a reduction of distortionary taxes for certain sectors of production. This is a good sign, but it is insufficient to get out of recession and risky for the goal of fiscal balance. 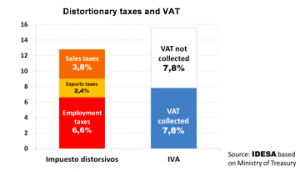 Improving VAT management is the way out of this challenging trade-off. 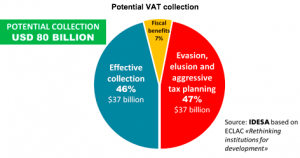 Only half of the potential resources are collected with VAT. Therefore, instead of continuing to increase taxes that discourage production and employment, efforts should be concentrated on better VAT administration. To this end, a profound transformation of the tax administration is unavoidable. In the crisis, there is a proliferation of unhelpful proposals since they generate more public expenditure or less revenue. With innovative ideas and coordination between jurisdictions, the reform of the labor risk system shows that social protection and competitiveness can be improved without raising the fiscal deficit. Mc Donald’s famous burger is used to compare the exchange rates between countries. With this indicator, the dollar in Argentina appears quite misaligned to neighboring countries. This can be useful to temporarily adjust the external sector but it is still pending to achieve competitiveness in more genuine ways. The low fiscal deficit is good news but should be taken with caution since it was based on the inflationary surge. 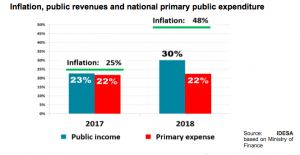 The reason is that the fiscal revenues follow the increase in prices while pensions and public salaries do the same but with delay. Sustainable fiscal balance can only be achieved through fiscal reforms.